Make crispy and delicious tortilla bowls with this deep fryer basket. Eat your salad or chili out of a deep fried tortilla bowl for that extra touch of the Southwest. Makes tortilla bowls 6-inches in diameter. Depth varies depending on size of tortilla. Simple to use and fun to make. Shape forms in fryer. 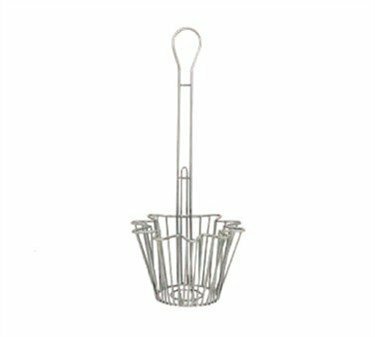 Extra long handle on this chrome-plated wire basket provides safe and easy operation. Make them at home or expand your restaurants menu with easy-to-make tortillas bowls. In stock and ready to ship. Features: Made of chrome plated wire. Long handle for safe and easy use. Make crisp tortilla bowls for salads, chili, and more. Specs: Basket Dimensions: 8"W x 5"H. Handle is 13"H, making overall length 18 1/2"H.
Say goodbye to stale, store-bought taco bowl shells and get homemade, crisp and fresh Taco Bowls! Just place a tortilla on the outside of the basket pressing into the sides, and place into deep fryer. In a few short minutes you have a crispy tortilla bowl. This Taco Salad Fryer Basket fries 8" to 16" tortillas into traditional configurations. Simple to use and create perfect baskets for taco salads. 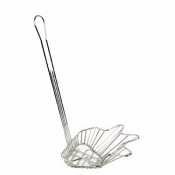 Extra long handle on this chrome-plated wire basket provides safe and easy operation. Make them at home or expand your restaurants menu with easy-to-make tortillas bowls. Always use caution when working with hot oil! Excellante 8" x 8" x 5" taco salad bowl basket, round bowl (overall height:18"). Made of durable nickel plated material. Basket fits one bowl at a time, making sure that taco salad stays within the confines of the round bowl. Great for preparation, neatly fitting any tostada bowl. Lengthy handle ensures that transportation is nice and easy. Commercial grade quality, made to endure the toughest condition in any kitchen. Handle size 13" x 2" x 0.125". 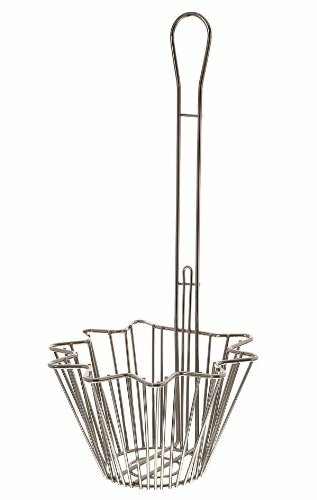 Winco TB-22, 18-Inch Triangle Taco Salad Bowl Basket, Deep Fryer Taco Holder Basket, Commercial Heavy-Duty Taco Fry Basket with Handle is an essential item for any commercial kitchen. 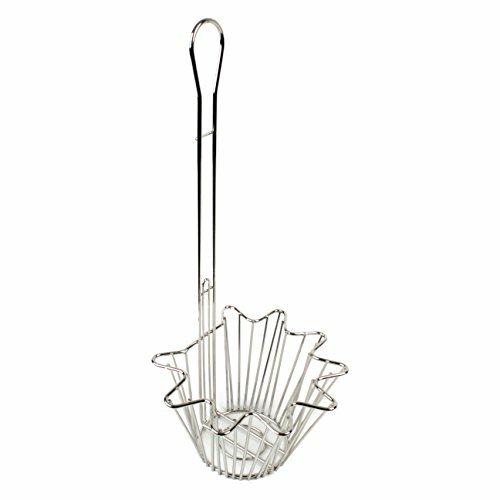 The fry basket is made of durable, nickel plated stainless steel. 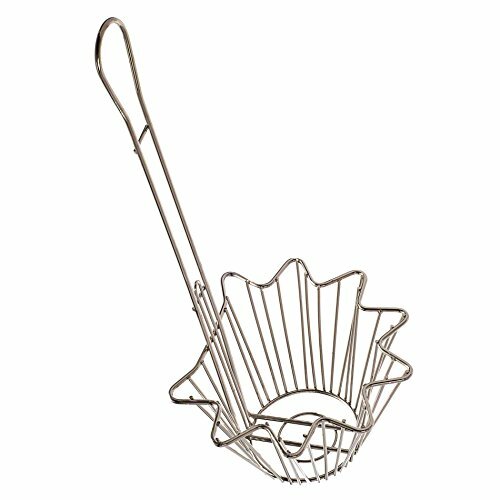 Just put a tortilla on top of your fryer, sprinkle with oil and then deep the tortilla into the oil with this taco salad shell fry basket. This 18-inch bowl will let your business to transform a basic tortilla into a party dish to be fulfilled with all the finest salad green, cheese, tomatoes, salsa and meats. Perfect for serving taco salads, nachos, or dips. This nickel-bearing chromium steel basket will surprise you with its durable quality that will last for years! Homemade food brings a sense of freshness and authenticity that is unmistakable and memorable for its patrons. Many restaurants have already begun making homemade chips and salsa to serve with their entrees. Update International offers the perfect means to push freshness to a new level with its Straight Taco Salad Bowl Basket (TSBB-80). These fresh-from-the fryer taco salad bowls will taste much crisper than their stale pre-made counterparts. 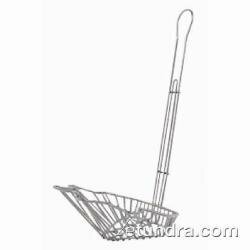 The basket is nickel-plated which makes it easy to clean and corrosion-resistant. The tortillas to be used to make the taco salad bowls have a maximum diameter of sixteen inches. 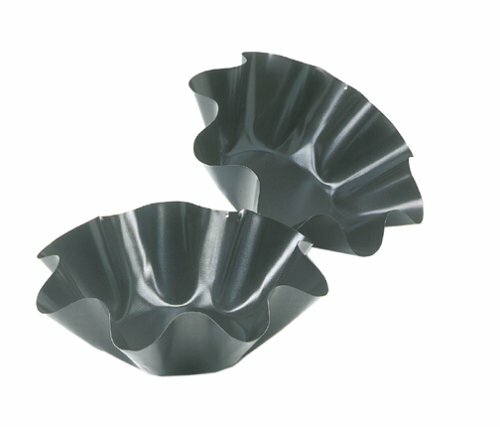 Norpro's Mini Nonstick Tortilla Bowl Makers, come in a set of 2. Bake crispy tortilla bowls without grease in minutes. Recipes included. It is a product from Thunder Group. This fry basket will allow your business to turn a simple tortilla into a fiesta bowl. It is nickel plated . It is made of stainless steel. 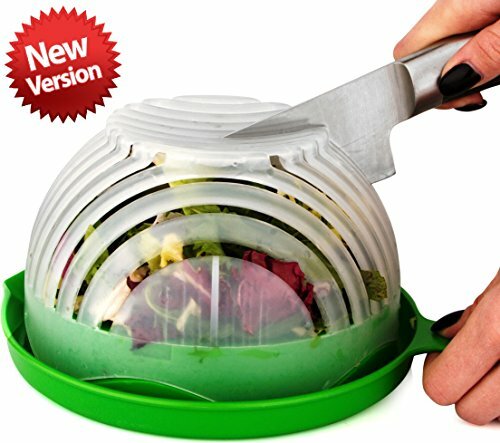 It will create the base of your tasty, fresh taco salads with ease. Looking for more Taco Salad Bowl Basket similar ideas? Try to explore these searches: Large Open Coffee Table, Pgi 9 Photo Cyan Tank, and Sunbrella Sunblock.